Short on time? Click here and I’ll email you a PDF copy of this post so you can read it later! This past year was the first year I filed taxes as “married jointly.” Both my wife and I earn professional incomes, on top of rental income and side business income, so we braced for a big tax hit. We got pummeled…hard. It was by far the biggest tax bill, both in absolute dollars and blended effective tax rate, I’d ever paid. One major reason is because we got whacked by the Alternative Minimum Tax (AMT) this year. I exercised a bunch of incentive stock options from my company, which triggered a monster AMT assessment. Even though I made some money back by paying my taxes online, it made me wonder how we can shield more income from taxes going forward. One technique I’m going to do this year is to open a Solo 401k. What is a Solo 401k? It’s the same as a traditional 401k, except for a sole proprietor and, optionally, a spouse. I have self-employed / side income and want to avoid taxes. What are my options? The main difference among these options is the max you can contribute each year. SEPs are funded by employer contributions only. No individual contributions are taken out of your paycheck (called “elective deferrals” in the lingo). Since there are no individual contributions, there are also no catch up contributions. Those only apply to individual contributions. Since self-employment (FICA) taxes are 15.3%, half that is 7.65%. So net self-employment earnings = your profits times 92.35%. You can contribute up to 20% of that, max $53,000. Now, if you’re paying close attention to the IRS rules, you’ll see they actually say 25% of employee compensation. How does that square 20% of net self-employment earnings? The 25% applies to your W-2 salary if you are an employee of someone else’s company, whereas the 20% applies to your net self-employment earnings if you are a sole proprietor. As an employee, you earn $40,000. Your employer contributes 25% of your salary into your SEP, or $10,000. So your total income is $50,000, 20% of which is a SEP contribution from your employer. Groovy. By contrast, as a sole proprietor, your profits ARE your “salary.” You can contribute the same 25%…but only of your salary. When you’re self-employed, your “salary” AND your SEP come from the same “pot” of money (since you’re both employer AND employee). So you can’t include the SEP employer contribution portion when you compute the 25% ratio. That’s what makes it equate to 20%, not 25%, for self-employeds: whereas $1 salary is supplemented by 25 cents employer contribution when you’re a traditional employee, $1.25 profits when you’re self-employed means you can only take out 20% (25 cents) to fund your SEP….except, we didn’t subtract self-employment taxes first. Let’s do that. Continuing our example above, say your profits are $50,000, i.e., after subtracting expenses from income. 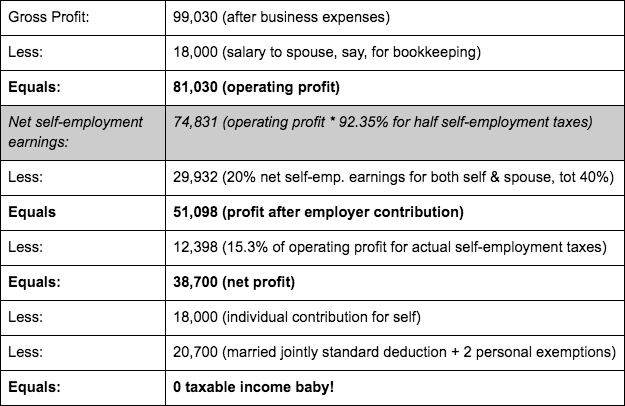 Take out half self-employment taxes (7.65%): multiply profits by 92.35% = $46,175. Now take 20% of that as your employer SEP contribution = $9,235. Hope your head doesn’t want to explode. 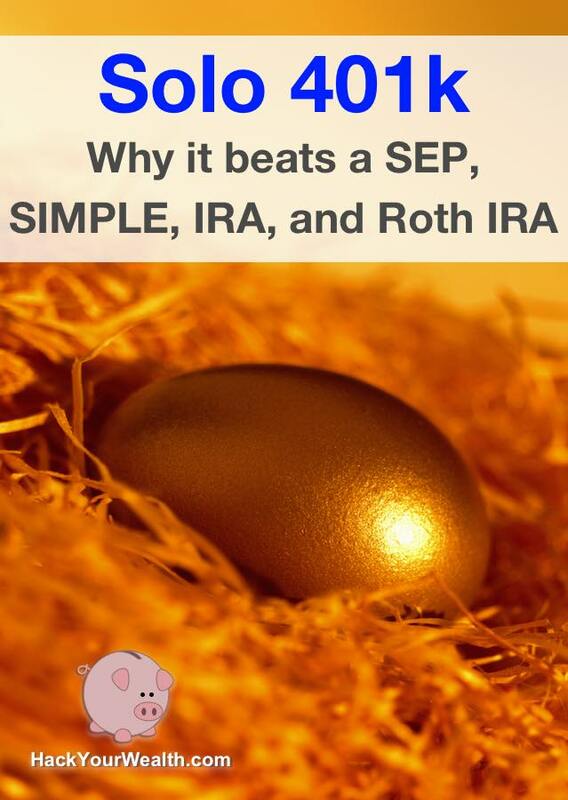 Since a SEP is just a type of IRA, you can invest in the same stuff you could with a traditional IRA: stocks, ETFs, fixed income, mutual funds, etc. Similar restrictions also apply: you generally can’t withdraw without a penalty before 59.5; when you do it’s considered ordinary income. The deadlines for both establishing a SEP IRA plan AND making contributions to it is the tax filing deadline (usually April 15 of the next year, October 15 for extended filers). More questions? Check out SEP IRA Plan FAQs. Remember, net self-employment earnings = profits – half of self-employment taxes = profits times 92.35%. As a 35-year old, your net self-employment earnings is $50,000. Assuming you only contribute to a SIMPLE plan, the max you can contribute for the year is $14,000 ($12,500 individual contribution + 3% of $50,000). The same rules apply to SIMPLE plans as other IRAs in terms of investments, distribution and rollover rules. However, one key difference between a SIMPLE vs. SEP is that the penalty for withdrawing within 2 years of plan inception is higher for SIMPLE plans. You’ll be penalized 25% of withdrawal vs. only 10% for a SEP. The deadline for establishing a SIMPLE IRA is October 1 of the current year. The effective date of the plan cannot be before the plan is actually established. You must make your individual contributions by December 31. The employer match must be made by the tax filing deadline, usually April 15 (October 15 for extended filers). More questions? 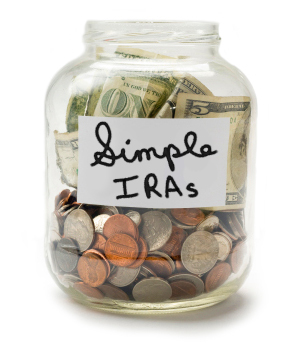 Check out SIMPLE IRA Plan FAQs. 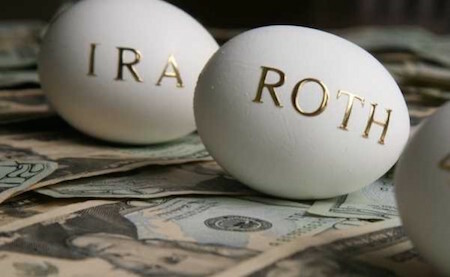 IRA contributions are tax-deductible; Roth IRA contributions are not. If you are married filing jointly and are NOT covered by a retirement plan at work, but your spouse is, special income limits apply to you. Your phaseout begins after you have joint income of $184,000 and goes to zero when you reach $194,000. If neither you nor your spouse is covered by a retirement plan at work, there are no income limits: you can have infinity income and still get the full tax deduction for a traditional IRA contribution. If you exceed the income limit, you can always make a non-deductible contribution to your traditional IRA. But doing that means you will pay ordinary tax rates on all your investment gain (your original basis won’t get taxed again). Whereas if you put this money into a regular taxable account, your investment gain would be taxed at lower capital gains rates; plus, there would be no restrictions against withdrawing before 59.5. So, why the heck would anyone make a non-deductible IRA contribution? Simple: To do a Roth Conversion. You can take IRA dollars and convert them to a Roth, pay taxes at the point of conversion, then all subsequent growth and withdrawals are tax-free. Tax-free, baby! Roth conversions also have no income limits and no conversion limits, so you can earn infinity and convert infinity into a Roth IRA. You’ll just pay taxes once at the point of conversion and never again. If you do it right, you can even pay zero taxes at the point of conversion, either as a one-time conversion or as a repeated conversion, using a Roth ladder. Both IRAs and Roth IRAs let you start withdrawing penalty-free at 59.5, but traditional IRAs REQUIRE to you start withdrawing by 70.5. No such requirements exists for Roths. When traditional IRA money is withdrawn, anything that hasn’t yet been taxed gets taxed at ordinary rates — again, unless you use a Roth ladder. When Roth money is withdrawn, it’s tax-free. You can always withdraw original Roth contributions any time penalty-free and tax-free; you just can’t withdraw any Roth GAINS until 59.5. There are also times when you can withdraw from your IRA early (before 59.5) penalty-free. 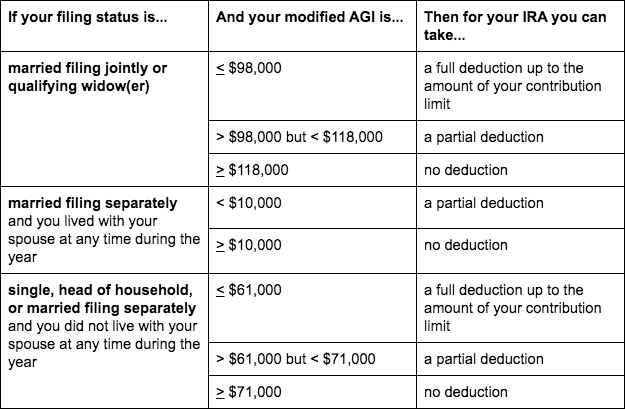 Here’s a useful IRS chart showing all the exceptions for early distributions. The deadline for both establishing AND contributing to an IRA or Roth IRA is the tax filing deadline, usually April 15 of the next year. Applications and contributions must be postmarked by this date to qualify, and there are no extensions even for late filers. More questions? Check out IRA Plan FAQs. A Solo 401k is just like a regular employer 401k but designed for a sole proprietor with no employees, or sole proprietor plus a spouse. With a Solo 401k, you make contributions as both employer AND employee. Depending on your brokerage firm, you may have access to a Roth option for your Solo 401k. Total contributions to per person, excluding catch-ups for those 50 or over, cannot exceed $53,000. That’s a hard cap. For the individual contribution, the $18,000 limit is imposed on each person, not on each plan. So if you’re participating in a traditional employer 401k while ALSO contributing to a Solo 401k via your side business, the IRS doesn’t let you contribute $18,000 to each 401k PLAN. You get $18,000 for you as a PERSON, and that’s it. For the non-elective employer contribution, the definitions here are the same as the SEP IRA case above. The 20% applies to net self-employment earnings, which equals income less expenses less half self-employment taxes: or profits times 92.35%. 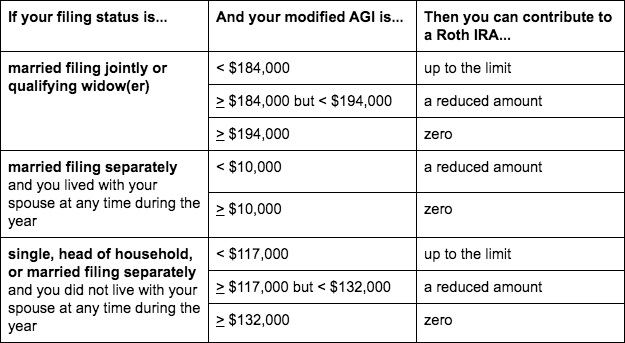 Note that if your Solo 401k has a Roth option, you may only contribute your individual $18,000 portion to the Roth. 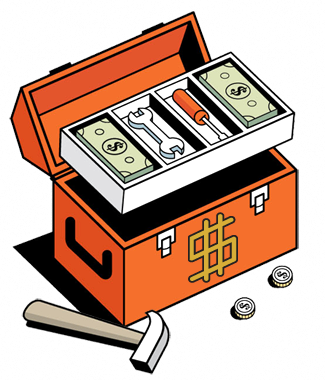 The employer portion must be made as a traditional, pre-tax (i.e., non-Roth) contribution. As a self-employed business owner, you earned $300,000 total income last year and spent $82,000 in costs. You paid your spouse exactly $18,000 salary to help with bookkeeping. You both don’t contribute to other employer 401ks. You max out your individual Solo 401k contributions. The company maxes out the employer contribution. $300,000 – $82,000 – $18,000 = pre-tax profits of $200,000. The max employer contribution is 20% “net self-employment earnings.” So: $200,000 times 92.35% = $184,700. 20% of that is $36,940. That’s the max employer contribution per person. So both you and your spouse have $54,940 in total deferrals ($18,000 + $36,940). However, the hard cap is $53,000, so you’ll be limited to that. (If you were 50 or older, you could do the $6,000 catch-up for 50+ savers.) Since we assume you’re under 50, you’ll each max out at $53,000, or $106,000 total. That gets shielded from taxes. If you have part-time employees, you can exclude them from your Solo 401k if they worked fewer than 1,000 hours during the year. Once employees exceed this threshold, Solo 401k won’t work anymore and you’ll have to upgrade to a traditional 401k. You must specify your elective individual contribution by December 31, but the contribution itself doesn’t have to be deposited until the personal tax filing deadline of April 15 (October 15 for late filers). The deadline for funding the employer contribution is also April 15 / October 15. While traditional 401k plans must undergo annual “discrimination” testing, Solo 401k plans don’t have to. What’s this about? There’s something called the Employee Retirement Income Security Act, or ERISA. ERISA requires several tests each year to prove traditional 401k plans do not discriminate in favor of high-income employees. Congress didn’t want the tax breaks of 401ks to accrue disproportionately to high-income folks. The purpose is to ensure everyone is benefitting from the 401k plan. So, if high-earners are pouring money in, then non-high earners have to do the same. The employer must incentivize non-high earners to do this, and the most common incentive used is the employer match. 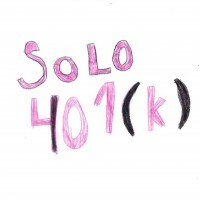 Solo 401k plans, however, only have ONE participant or, at most, an additional spouse. So it isn’t really possible to discriminate in the way Congress meant to avoid. That’s why a sole proprietor with no employees can avoid annual nondiscrimination testing under a Solo 401k. This reduces administrative burden and cost. Once your Solo 401k plan exceeds $250,000 in plan assets, you have to file Form 5500 annually with the IRS. 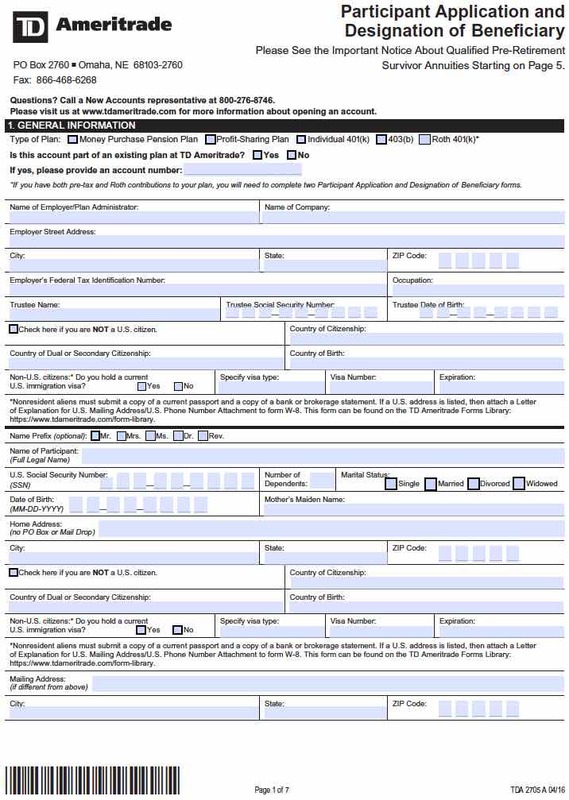 You can either complete Form 5500-EZ and snail mail it, or fill out Form 5500-SF online and submit it electronically. A Solo 401k is superior because it usually allows you to shield the most money possible from taxes. This is especially true given that you can “double dip” by employing your spouse, which means you can sometimes save double the amount you could (or more) vs. the other accounts. When combined with powerful strategies to ladder out to a Roth IRA down the road, the Solo 401k is the best retirement account option for self-employed folks. The basic strategy for shielding maximum income from taxes using a Solo 401k is to double up with your spouse. Pay your spouse up to $18,000 salary (give your spouse something meaningful to do so your payments are legit). Ideally, the salary should equal the max individual contribution. Maximize your individual contributions to the Solo 401k. Assuming you don’t contribute to another employer 401k, you can contribute max $18,000 each for the year. Pay out the max employer contribution of 20% net self-employment earnings. That’s 20% of profits times 92.35%. OPTIONAL: While not part of the Solo 401k, if you have an HSA account associated with your health insurance you can tuck away even more pre-tax money into it: $3,350 max for the year if you’re single, $6,750 for families, and $1,000 catch-up if you’re 55 or older. In concrete terms, if you max out your Solo 401k between you and your spouse, you can earn nearly 6-figures in PROFIT at a minimum (much more in revenue) and STILL have zero tax liability. And this is just using the standard deduction! If you have significant itemized deductions, it’s possible for gross profits to well exceed 6-figures and still avoid taxes. $99,030 is the MINIMUM profit you can earn with zero tax liability…just by maxing out your Solo 401k with your spouse. Topline revenue could be WELL over 6-figures, depending on how much business expense you have. And the best part? You can ladder out all the money you shield from taxes to a Roth later. Simply roll your Solo 401k into a regular IRA first, then convert to Roth. So, what does this translate to in terms of REAL numbers? If you max out contributions upfront and capture the tax savings now, it can translate to a LOT of savings depending on your marginal tax bracket. If your marginal tax rate is 25%, then every dollar you put into your Solo 401k shields 25 cents in taxes. That’s 25 cents more PROFIT….for doing something that’s good for you anyway, i.e., saving for your own retirement. In fact, it’s even better than a traditional employer match, ‘cause the government pays for it! Another perspective: If every dollar of your revenue requires 50 cents of expenses, then your profit margin is 50%. So, saving 25 cents in taxes for every dollar put into your Solo 401k is equivalent to getting 50 cents additional topline revenue. Assuming you’re in the 25% tax bracket, the individual $18,000 contribution alone is like getting a $4,500 government match, all extra profit, and if your profit margins are 50% it’s like $9,000 extra topline revenue. Then, when you add the employer contribution, the benefits are even greater. It’s a $53,000 max contribution for individual and employer portions combined. At a 15% tax rate, that’s equal to $7,950 in extra profit. 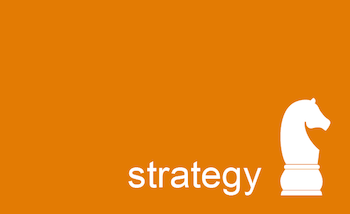 If your profit margin is 50%, it’s like $15,900 risk-free, effort-free extra revenue. If your profit margins are 20%, it’s like $39,750 risk-free, effort-free extra revenue. That’s just per person. If your spouse does it, everything doubles. Glee! And if you’re in the 28% or 33% or even higher tax brackets, the savings add up even faster. The percentages here show how much additional REVENUE contributing the max to your Solo 401k equates to at various revenue and profit margin levels. The horizontal axis is revenue numbers. The vertical axis is profit margin percentages. This table assumes only YOU are contributing, not your spouse. Remember, the max Solo 401k contribution is at $53,000, but it will be less than that if your profits are less than $53,000. Since profit levels vary, tax rates also vary. Tax rate variances are already baked into both tables above, corresponding to profit levels. That’s why you see “lumpiness” where percentages seem to “jump around” rather than decrease / increase linearly across the rows and columns. The jumps are where tax brackets change. 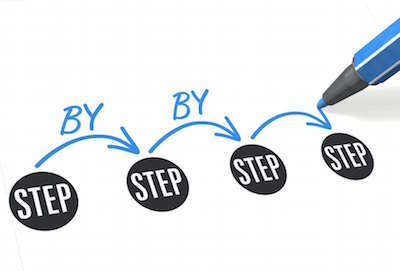 Here are the steps involved setting up a Solo 401k. Trading commissions and fees are similar to (or even less than) those for my regular brokerage account. Also, are there any commission-free securities? You can usually find some of this basic info directly on each brokerage’s Solo 401k webpage. For example, Fidelity’s Solo 401k product shows no set up or maintenance fees, and you can use your Solo 401k to invest in most mutual funds, stocks, bonds, ETFs, and other securities available to regular Fidelity account holders. Vanguard’s Solo 401k has no set up fee but does have a $20 annual fee charged for each Vanguard fund held in the account; that fee is waived if you have $50,000 invested in Vanguard funds or ETFs. Etrade’s Solo 401k has no set up or maintenance fees and states you can roll over assets from other SEP or SIMPLE IRAs into the account. Also, the major brokerages such as these generally do not have required deposit minimums. I decided to go with TD Ameritrade’s Solo 401k because the terms and fees are very similar and competitive with other brokerages, and I already have several other accounts with TD, so I’m familiar with their online systems already. I also have accounts with all the other major brokerages, including all the ones mentioned above, but I generally find TD Ameritrade’s website and apps easier to use and their investor tools more useful. To apply for a Solo 401k, you cannot just use your social security number, which you might have been using for other business purposes up until now (since that’s usually all you need as a sole proprietor). 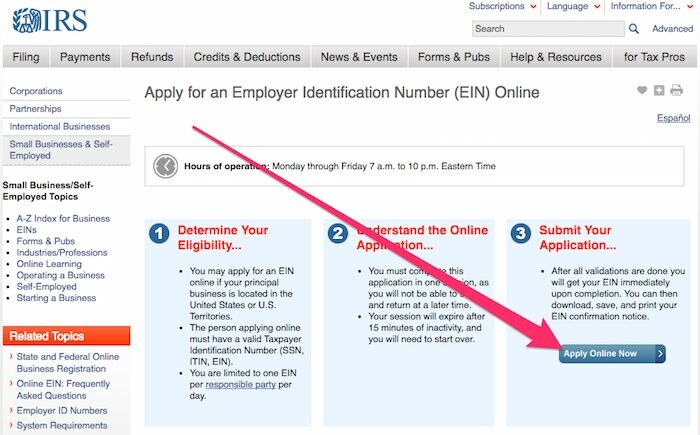 You have to get an Electronic Identification Number, or EIN, from the IRS. This is basically a number that identifies your small business, just like your social security number identifies you. You’ll need your business EIN before you fill out your Solo 401k application. You can apply for an EIN in various ways: online, mail, phone, or fax. To apply online, click here. Then click the apply button. This is baffling, but apparently this online system only operates Monday – Friday, 7 am to 10 pm Eastern. I guess the robots need weekends off, too. Legal name – this can be a unique name or just your own personal name. It will encompass all business endeavors that you operate as a sole proprietor. Start date of the business – month and year. I used January of the present year since I filed under my social security number last year. Address of the business – this will be linked to your EIN, so best use a stable address that won’t need updating often. Can be home or office address or PO Box. You’ll need to remember these details come tax filing time, because they’re used when reporting your sole proprietor taxes. 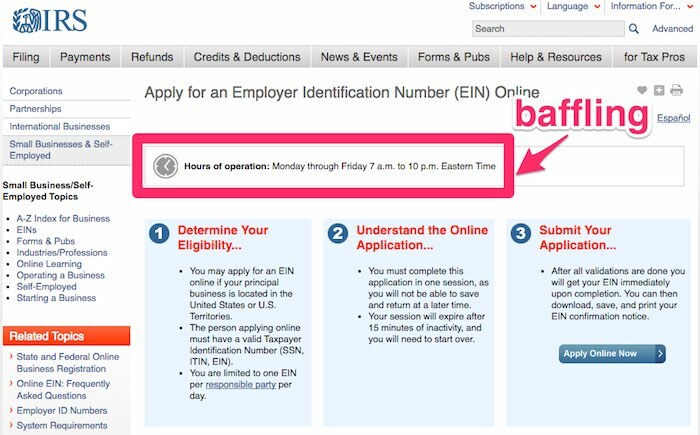 If you’re a sole proprietor and requested an EIN for a business in the past using your social security number, you may get an error when trying to apply for another EIN online. If that happens, just call the IRS automated phone system to get an immediate EIN at 800-829-4933. More questions? Check out EIN FAQs. As far as I know, you cannot apply for a Solo 401k online anywhere. (This is true both at TD Ameritrade and other major brokerages.) You must download a PDF application, print it out, fill it out, and mail it back. Almost as baffling as the EIN system only working during weekday hours. Your brokerage will probably send you a FLOOD of documents when you request the Solo 401k paper application. TD Ameritrade sent me FIFTEEN different PDFs in a single email. That’s all you need to open the Solo 401k. If you plan to roll in any previous IRA or 401k money into the Solo 401k, you’ll also need a third transfer form. But that’s it. Your “custodian” will already be pre-filled (and uneditable) as the name of the person who is the Managing Director of Investor Services at TD Ameritrade. TD Ameritrade is required to provide you these so you can specify additional provisions applicable to your plan. But these would only be relevant if such provisions existed in the first place, which only happens if, say, you are amending or restating an existing qualified plan, or there are trust documents with additional governing plan provisions. If you are establishing a new Solo 401k, neither should apply and you can ignore these pages. That’s right, this form has two functions. One, it designates who will control the plan features and have the power to make changes and see account info of plan participants. Two, it states who is actually going to participate in the plan. If you are a one-person shop (or running a business with only your spouse), then you will be both administrator (employer) and participant (employee). Once again, you can ignore the stuff about Trustees, Fiduciaries, and ERISA because Solo 401ks are not regulated by ERISA. After you complete the above forms, mail them back to the address listed on the forms. About 10 days later, you’ll get some welcome emails from TD Ameritrade saying they’ve received your application and established your new Solo 401k account. You’ll also get some paper documents in the mail with additional info about your Solo 401k, including your new account number and PIN code to create your online account. When you create your online account, you’ll get instructions on how to link your bank account (or rollover an existing account) to fund your Solo 401k; there will be one webpage where you go to set up your administrative account (as employer), and another separate webpage where you login to set up your participant account (as employee). If you are rolling over funds from other IRA or 401k accounts into your new Solo 401k, you’ll fill out a transfer form and submit it; it’ll take 3-4 business days to complete the rollover. Solo retirement account choices may seem overwhelming and the process for opening an account may seem cumbersome, but hopefully this post has shown you the best solo retirement option is usually a Solo 401k because it allows you to shield the most money from taxes. And while the Solo 401k application process may seem tedious and complicated, it’s actually pretty straightforward. 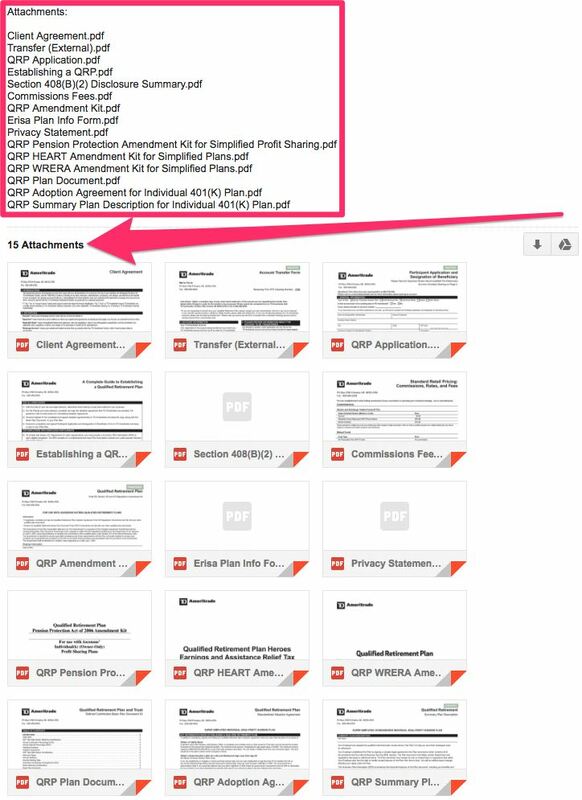 For TD Ameritrade, it’s just two forms. Most of the paperwork doesn’t apply to single-person business owners. Question: Have you opened a Solo 401k or other type of solo retirement plan? If so, what brokerage did you use and why? Any tips or strategies you learned in the process that you wish you’d known upfront? Leave a comment — I’d love to hear your thoughts! I do have a question. Self Directed Solo 401K is the reason I was found you article but you don’t mention “Self Directed” To me it seems as though your discussing a Broker directed account. I am new to this but don’t you have to set up a trust to have a SD Solo 401K. Then open a brokerage account for the Roth IRA in the name of the trust? Not so sure about any of this. What I wanted to accomplish was to have real estate investments along with a brokerage account. Also I did not find a date anywhere so I hope this is still an active discussion. Hey Ed, self directed just means you yourself rather than an employer are administering the 401k account. You still have to open the 401k via a brokerage like TD Ameritrade or Vanguard bc the brokerage actually provides the 401k services and backend you need self administer. 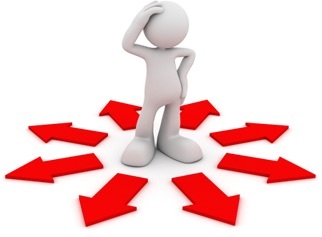 Both employer sponsored and self directed 401ks use brokerages – the difference is that an employer sponsored plan is administered by your employer and not you (e.g., employer will probably restrict your investment choices, whereas in a self directed 401k you can invest in anything). My company has three owners and no full time employees. Currently, I have submitted the two forms described above to TD Ameritrade. Does each owner need to fill out both forms as well, or just the participant info? According to them, each owner needs to “adopt” their own plan. This seems contradictive to what I have been reading online. I don’t think you can create one Solo 401k plan for 3 people. Even though you three co-own a business, a Solo 401k is for self + spouse max. Each of you would need to create your own Solo 401ks. Hi, first of all, great post! It’s highly informative. 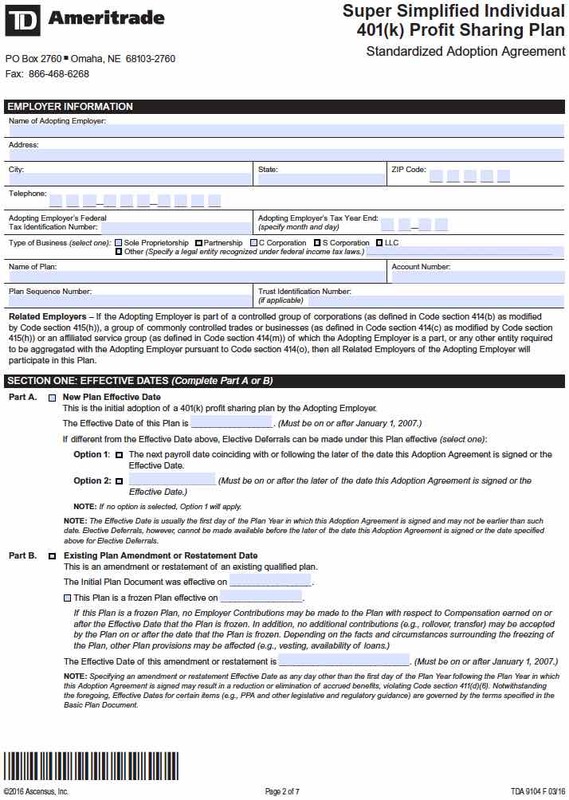 Under the Employer Information section (Adoption Agreement) what should be typed? Should the individual choose one? Sorry, I forgot to specify the Account Number field. For TD, they said I could leave that field blank, so I did. No problems opening the account. Thank u so much, Andrew. Keep on with the excellent work. There is a section on the first page of the adoption agmnt regarding obtaining a fidelity bond. If I have no employees is this part necessary?